From its humble beginning of a small mobile canteen in 1936, The Aristocrat continues the family legacy of serving classic Filipino cuisine. It is more than a restaurant, it's a landmark in the tourist district of Manila and it's also a great place for events like wedding, debut and baptismal. It is every parent’s desire to make their little one’s wishes come true. Giving our kid the "best party ever" is one of the greatest opportunities to fulfill this dream. Nothing is as delightful as seeing little faces light up as the surprises are revealed on that very special day. Of course, for the where-did-all-the-time-go moms like me, planning our kid's birthdays can be a marathon, from planning birthday themes to birthday giveaways, birthday cakes, party host and of course, the venue. The Aristocrat's party packages include all the great elements you will need to give your child a super time and make the party a little easier on you. 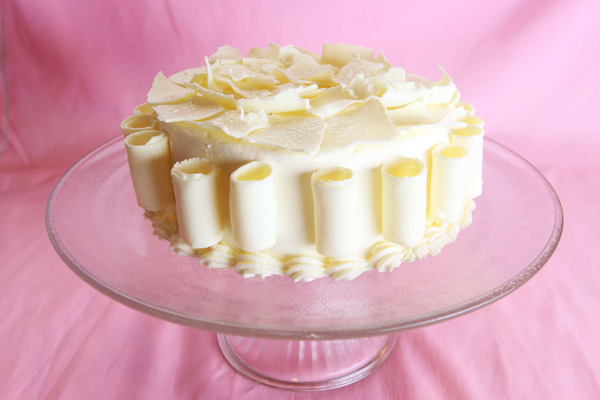 Held at the newly renovated iconic restaurant, The Aristocrat at its first home in Roxas Boulevard, Manila, we celebrated Kelsey and Liesl's birthday the "Aristocrat" way. 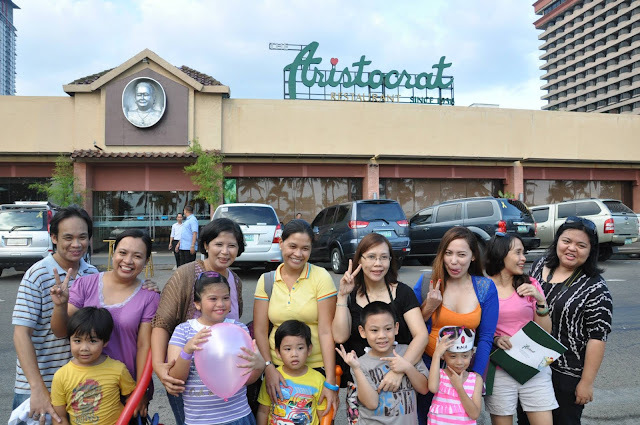 The Aristocrat offers Kiddie Party celebrations at their main branch at Roxas Boulevard which has function rooms for parties and events. Their Dona Engracia hall can accommodate up to 400 guests. On the other hand, other Aristocrat branches can cater to small family gatherings. A yummy kiddie meal fit for royalty! Mucha Leche. Sinfully delicious! My new favorite. What else can I say, everybody loves the Filipino-style chicken barbecue in this place. Indeed, the best boneless chicken barbeque in town. The beef mechado, chicken lollipop, lumpiang sariwa and the sinfully delicious Mucha Leche cake were just a few of my favorites at Kelsey's party. 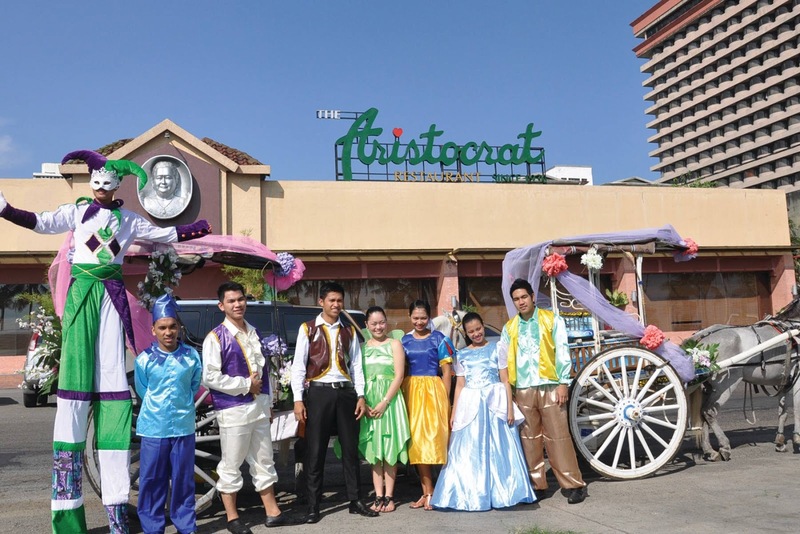 The Aristocrat offers a happier way in making your child’s birthday wish come true! 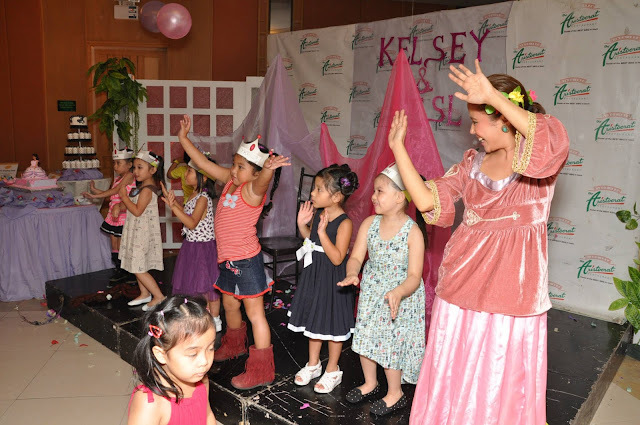 Kiddie parties are made more special with The Aristocrat’s kiddie party package for as low as P 17,650. Package includes 30 meals for kids complete with party favors, loot bags, and a themed party cake. The guests have the option to add more delight to the party with party add-ons like bubble show, magic show, and balloon twisting, etc. It's a Prince-and-Princess-themed party which is always a popular party theme for little girls. Nothing could be more fun than a girl-y princess party! The whole place was decorated in pink and purple with a Barbie princess cake & cupcakes, a pink carriage and the classic black & white cupcake tower. The hosts, as well as the waiters and waitresses, were dressed up as Royal Princes and Princesses. 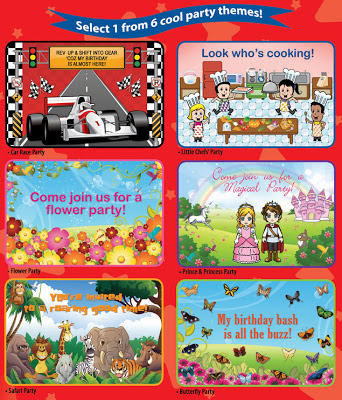 Aside from the Prince and Princess Party, there are other cool party themes to choose from like Car Race Party, Flower, Butterfly Party, Safari and Little Chef’s Party. The party was hosted by Make Believe Productions. I've watched them before at some of the Shuttercount parties we've covered and I've always loved them. The kids, especially my daughter, were giddy and excited to gather around a storytelling canopy. I like how interactive the storytelling was for the kids as they listened to a fairy tale and joined the hosts in casting a few fun magic spells. They are also one of my favorite English-speaking hosts because they can really engage and communicate well with both the kids and kids-at-heart. The Aristocrat Kiddie Party was recently launched featuring the various party themes options complete with a Sunset Kalesa ride, Glitter Face Painting, Cupcake Decorating, Balloon Sculpting & Make Believe Storytelling plus lots of giveaways! Maia's busy decorating her pink-tabulous cupcake! Fairy tale characters, stilt clown and carriage horses in front of The Aristocrat. Restaurant. Lovely mommies with super cute kids after the party! The Aristocrat now has 10 branches located at Roxas Boulevard in Malate (open 24 hours), Jupiter in Makati, SM Mall of Asia, SM San Lazaro, The Block in SM North EDSA, Robinsons Place Manila, SM Manila, Subic Bay, San Pablo, Laguna and at Banawe St. Sta. Mesa Heights, Quezon City. The Aristocrat is Opening Soon in SM Dasmariñas Cavite. Thanks to the pretty birthday girls, Kelsey and Liesl, for inviting us to your fabulous party! 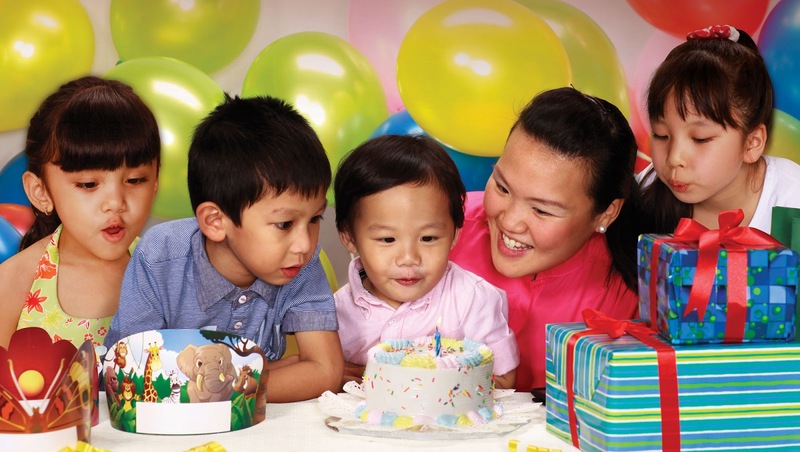 So if you're looking for a place to hold your child’s birthday party, check out the party packages at The Aristocrat. For inquiries and reservations, contact the Main Office at (+63 2) 524-7671 to 80 or visit their website at www.aristocrat.com.ph. I LOVE THEIR CAKES!! sUPER yUMMY!